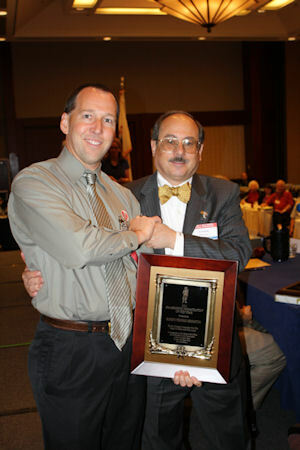 The Citizens Committee for the Right to Keep and Bear Arms (CCRKBA) has named Buckeye Firearms Association their "Organization of the Year" for 2011. The award was presented at the 26th Gun Rights Policy Conference (GRPC) by CCRKBA Chairman Alan Gottlieb, who said "No organization deserved this award more than Buckeye Firearms. They are the total package when it comes to grassroots activism." I had the honor of receiving this award on behalf of Buckeye Firearms Association, which also won the award in 2007. There are many great grassroots groups working to protect our Second Amendment rights. Many of them have helped Buckeye become more effective. It was great sharing stories and ideas with people involved in the fight to restore rights in their respective states. To be named the best of an exceptional group was a true honor. There are many aspects that go into making Buckeye Firearms Association the great group that we have become. There are a group of people who exchange ideas as they discuss problems with current law, examples of self-defense, hunting, competition and other aspects of firearm ownership and use on a daily basis. They study what happens in Ohio and in other states. We are continually looking at events throughout the country and how different state laws effect how life and death encounters play out. We are always looking for new ideas and ways to improve State and Federal law as it affects gun owners. 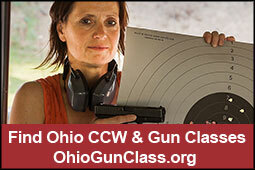 Our web site is obviously a critical component of Buckeye Firearms success. Writers provide content, and others program the stories, pictures, graphs, videos and links to make the stories come alive. Many firearms instructors inform their students about Buckeye. They hand out cards and brochures to students, who can learn from our web site and keep up to date as laws change. Another layer of volunteers work at gun shows throughout Ohio. They staff tables, answer questions, and help fellow gun owners learn about Buckeye Firearms and the work we do. Growth is critical to our mission, and this group of volunteers is a valuable piece of our network. Buckeye has many volunteers who help in critical, but unseen ways. They manage our web site, track and report financial activities to the Secretary of State or IRS as appropriate and ship cards, stickers, books and other products available on our web site. The volume of transactions they process, and the few complaints I receive speaks volumes about the exceptional job they do. Grassroots activists respond to our requests to contact their legislators. We make this task easier by providing contact information in stories and through the use of CapWiz which allows people to track bills and analyze voting records of elected officials. The army of people who respond to a call for action lets everyone know there is bite behind our bark. Many police officers help educate fellow officers about citizens carrying firearms for good purposes. Others teach civilians how to be more effective in a gun fight. More than we will ever know extend a courtacy to license holders who have unknowly committed a technical violation of a confusing set of laws. It takes many components to form a great team. Every person who is involved at any level makes Buckeye a better group, and our freedoms more secure. While it was I who had the pleasure of accepting the award, it was everyone working together that earned it. Thank you to all my fellow patriots. It is my honor to work with you. Jim Irvine is the Buckeye Firearms Association Chairman.